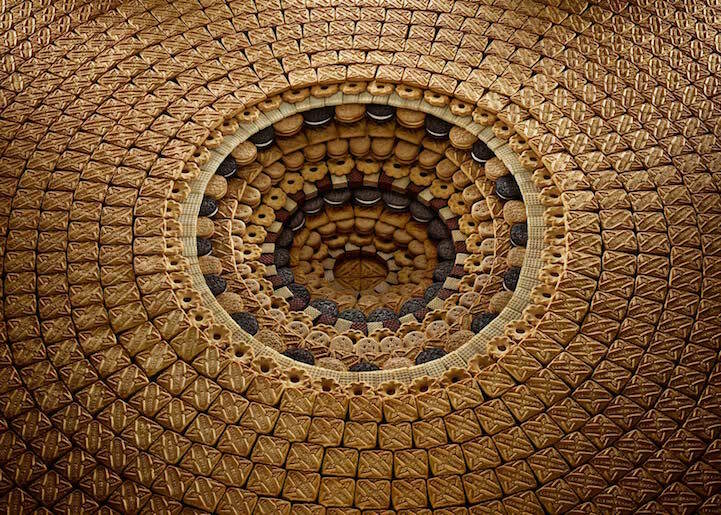 Sam Kaplan is no stranger to meticulously arranging objects in his photography. But his newest promo, Pits and Pyramids, just takes things to a whole new level. 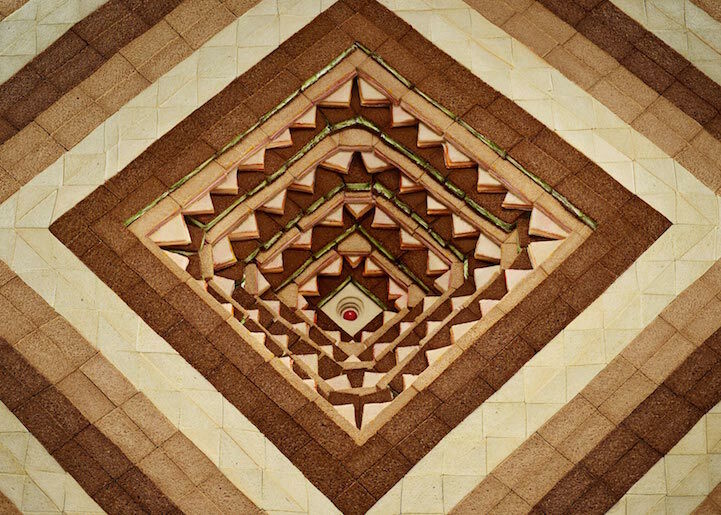 Pits and Pyramids is a conceptual photography gem. 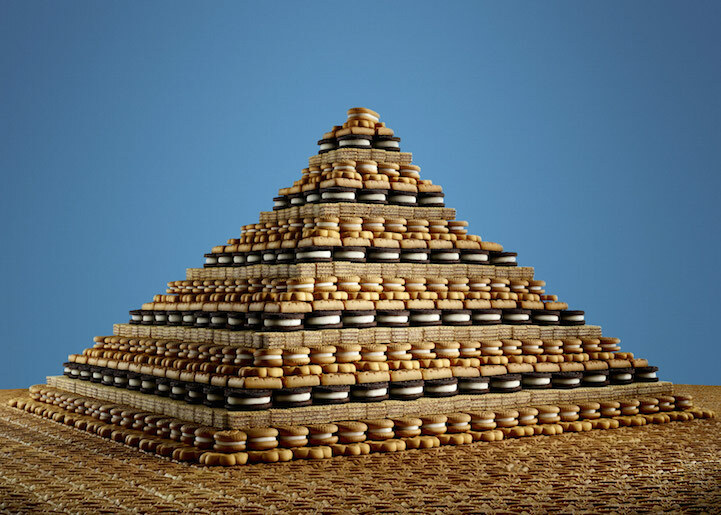 Designed by Sam himself, the new series features triangular towers and spirals (pits and pyramids) constructed of cookies, candies, sandwhiches and more. 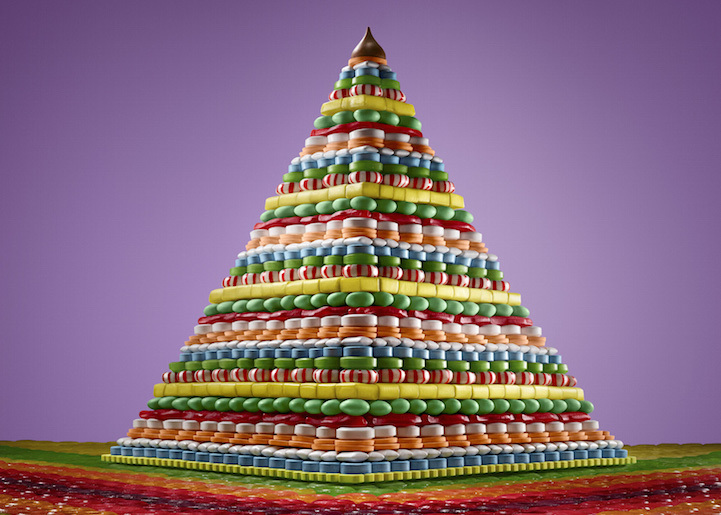 The arrangements feature beautiful patterns of alternating, color-coordinating layers that transform the edibles into hypnotizing architectural structures. The result is a spectacular feast for the eyes which has already been featured on APhotoEditor.com, Designboom, and My Modern Met. But don’t take our word for it, take a look at his mesmerizing new work below. 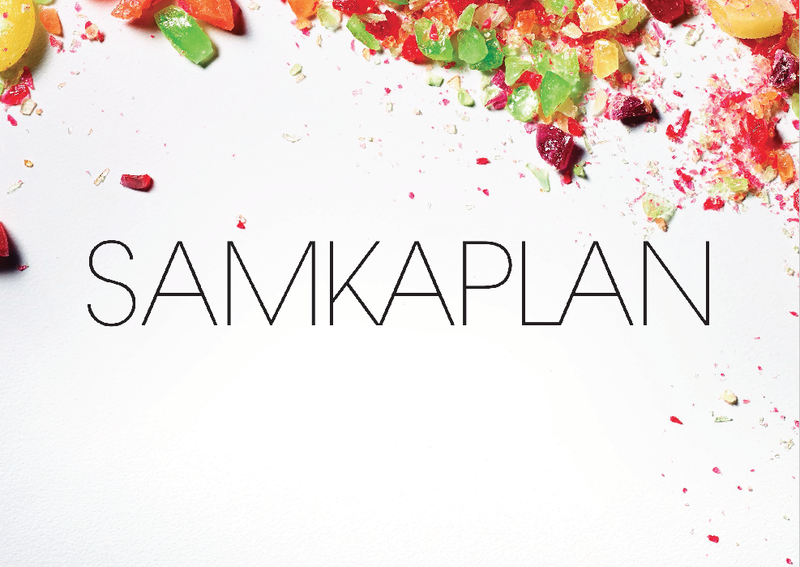 Sam Kaplan is represented by Candace Gelman & Associates. More of his work can been seen on at-edge.com and at samkaplan.com.